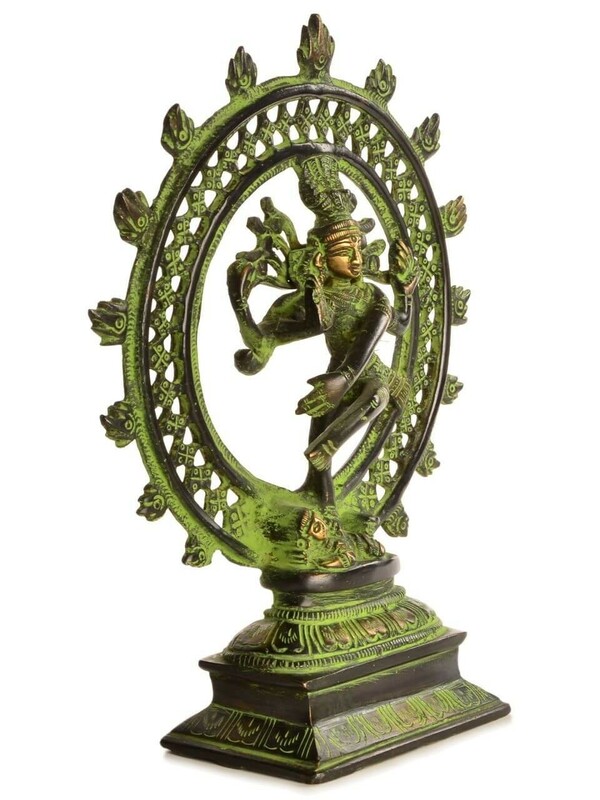 Für Details zum Produkt "Shiva dancing - Nataraja 21 cm 3" scrollen Sie bitte nach unten. 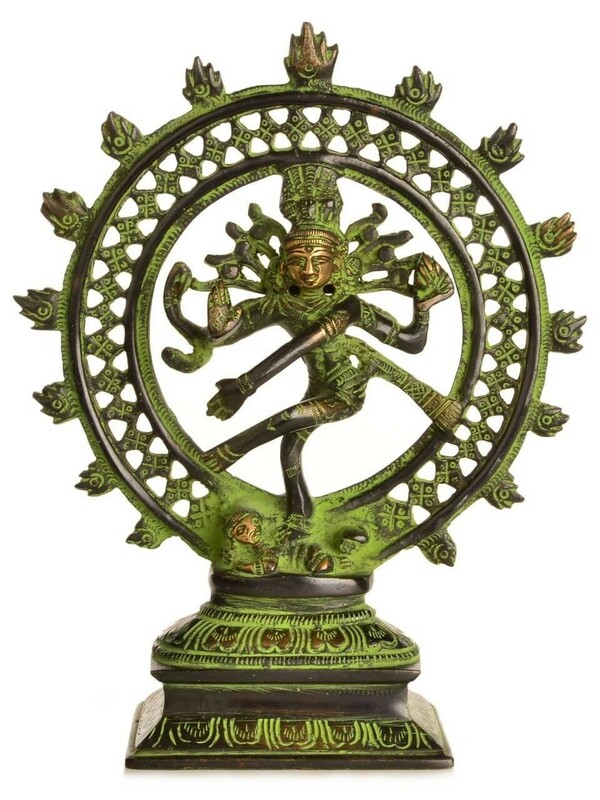 Nataraja - The depiction of Shiva as Nataraja - "Lord of Dance" is popular. 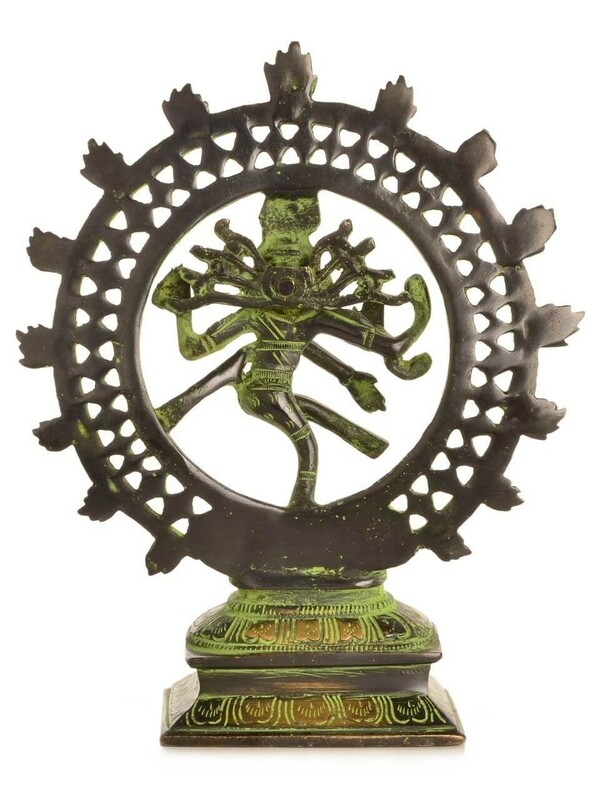 "Dancer" and Nityanarta His association with dance and also with music is prominent in the Puranic period. 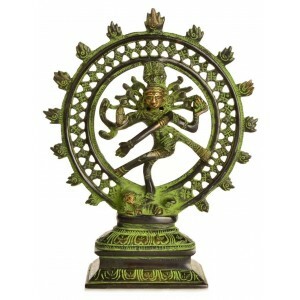 In addition to the specific iconographic form known as Nataraja, various other types of dancing forms. Shiva is one of the six primary forms of the Divine in Smartism, a denomination of Hinduism that puts particular emphasis on six deities, the other five being Vishnu, Shakti, Ganesha, Kartikkeya and Surya. Another way of thinking about the divinities in Hinduism identifies Brahma, Vishnu, and Shiva as each representing one of the three primary aspects of the divine in Hinduism, known collectively as the Trimurti. In the Trimurti system, Brahma is the creator, Vishnu is the maintainer or preserver, and Shiva is the destroyer or transformer. Shiva is usually worshipped as the Shiva lingam. In images, he is generally represented as immersed in deep meditation or dancing theTandava upon the demon of ignorance in his manifestation of Nataraja, the lord of the dance. Statue 21 cm hoch aus Messing gearbeitet und 1 kg schwer.